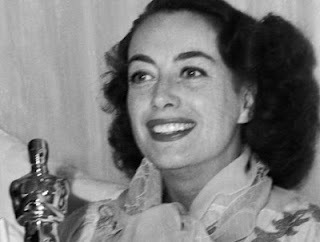 Joan Crawford's Oscar sold on September 25, 2012, for $426,000. Her win at the Academy Awards was for her role in the 1945 movie, Mildred Pierce. She won the Oscar after a string of poorly received movies and actually did not believe she would win. Hollywood lore has it that she pretended to be sick in order to skip the presentation. When she won, she invited the newspaper reporters into her home and received the Oscar in bed. She said, "Whether the Academy voters were giving the Oscar to me, sentimentally, for Mildred or for 200 years of effort, the hell with it -- I deserved it." I can recommend Mildred Pierce both the Joan Crawford Academy Award winning version, the HBO miniseries with Kate Winslet AND the book by James M. Cain. Click here to order Joan Crawford's Mildred Pierce from Amazon. The Official 85th Academy Awards Commemorative Movie Poster is a handsome piece that celebrates the Best Pictures Oscar winners from 1927 to 2012. 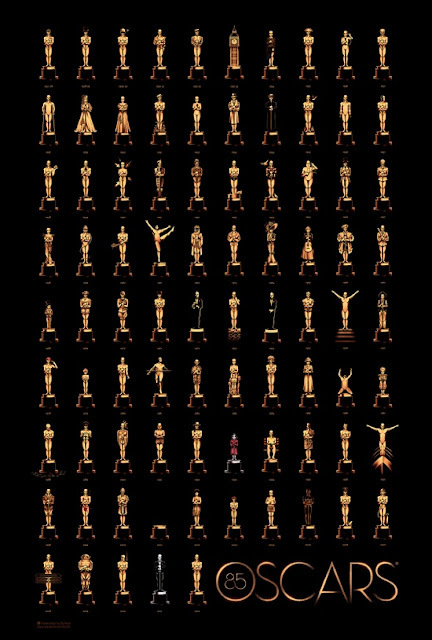 As you’ll no doubt guess from looking at the poster, it features 85 Oscar statues that were inspired from the winning movies. It was created for the Academy of Motion Picture Arts and Sciences by an English artist, graphic designer and illustrator by the name of Olly Moss in collaboration with Gallery1988. Moss has created other posters for which he is well known, including a movie poster for Thor. Yes, the 85th Academy Awards poster is for sale online. You can order a copy of the poster directly from Amazon by clicking right here. Buy your Official 85th Academy Awards Poster from Amazon. Have you seen the Official Oscars App? Follow my Academy Awards Board on Pinterest. 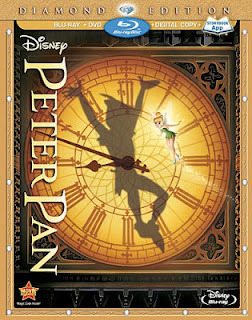 The 85th Academy Awards will be presented on February 24, 2013 and this year we have an impressive list of thought-provoking Best Picture nominations. That list includes Amour, Argo, Beasts of the Southern Wild, Django Unchained, Les Miserables, Life of Pi, Lincoln, Silver Linings Playbook and Zero Dark Thirty. As the Ottawa Citizen said, it is an "Oscar List Worth Talking About." I agree. Five of these movies have proved not just discussion-worthy but also, unlike the case with last year's nominations, have done well at the box office. 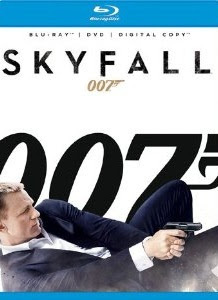 A successful run at the box office is important for the future of movie making. So what do you think of this year's nominations? Read the Ottawa Citizen's Oscar List Worth Talking About. 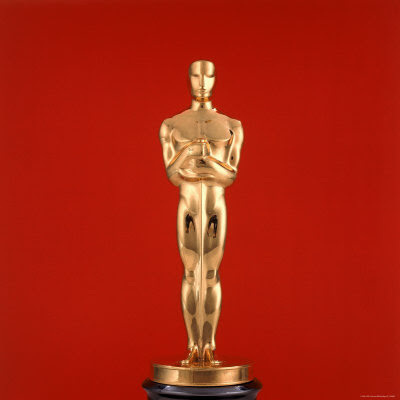 Buy this photographic picture of the Academy Award's Oscar Statuette. Check out the Official Oscars App. Image if you were able to cast a spell and conjure up Johnny Depp on your doorstep! That's something I'm sure more than a few have done and that is exactly what happens in Anne Kelleher's Conjuring Johnny Depp, a free short story in eBook form for your Kindle or other eReader. At least it is free today, Feburary 9, 2013. I'll admit I have not read the short story yet but I have downloaded it and I am encouraged by the positive Amazon customer reviews. If you read it, be sure to come back and let us know what you think. Click here to download your FREE copy of Conjuring Johnny Depp from Amazon.